New rules aimed at better protecting walking horses from the illegal practice of soring have been announced by federal authorities, in a move welcomed by animal advocates. Soring involves the use of chemical or mechanical irritants on the lower legs of horses. They are used by unscrupulous trainers to encourage horses to perform the high-stepping gait known as the “Big Lick”, which is popular in some segments of the walking horse industry. Soring causes the horse to suffer pain, distress, inflammation, and lameness. The new safeguards have approved under existing regulations. Attempts to bring about tighter controls through federal legislation have failed to progress through Congress. The Prevent All Soring Tactics (PAST) Act was widely supported by lawmakers across Congress, but has not made it to the floor of either the House of Representatives or the Senate for a vote. The new rules were announced this week by the Animal and Plant Health Inspection Service (APHIS), which is the division of the US Department of Agriculture that enforces the Horse Protection Act. The 46-year-old federal law makes it unlawful for any person to show, exhibit, sell, or transport sore horses, or to use any equipment, device, paraphernalia, or substance prohibited by the USDA to prevent the soring of horses in such events. However, a wide range of animal welfare groups and industry groups have long felt the Act did not go far enough in its protections. The final rule addresses recommendations made by the USDA’s Office of Inspector General following an audit of the APHIS horse protection program, which found the existing industry-led inspection program to be inadequate for ensuring compliance with the Horse Protection Act. The rule also seeks to address what the USDA describes as the substantial noncompliance that continues to exist among Tennessee Walking Horses and racking horses and the relationship that continues to exist between the use of certain prohibited items and soring in horses. Under the final regulation APHIS will license, train, and oversee independent, third party inspectors, known as Horse Protection Inspectors (HPIs), and establish the licensing eligibility requirements to reduce conflicts of interest. To allow sufficient time to train and license HPIs and ensure an adequate number before the start of the 2018 show season, current Designated Qualified Person (DQP) licenses will remain valid until January 1, 2018. Beginning January 1, 2018, management of horse shows, exhibitions, sales, and auctions that elect to use inspection services, must appoint and retain a HPI to inspect horses. Also, from that date, the regulatory provisions applicable to Horse Industry Organization and Associations are removed and are no longer effective. 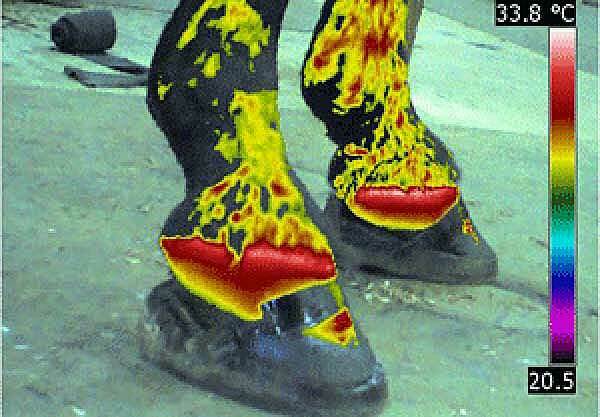 Beginning 30 days after the publication of the final rule, all action devices, except for certain boots, are prohibited on any Tennessee Walking Horse or racking horse at any horse show, exhibition, sale, or auction. All pads and wedges are prohibited on any Tennessee Walking Horse or racking horse at any horse show, exhibition, sale, or auction on or after January 1, 2018, unless the horse has been prescribed and is receiving therapeutic, veterinary treatment using pads or wedges. The agency says this delayed implementation allows ample time to both gradually reduce the size of pads to minimize any potential physiological stress to the horses and prepare horses to compete in other classes. From the start of next year management of events covered by the Horse Protection Act must, among other things, submit certain information records to APHIS, provide HPIs with access, space, and facilities to conduct inspections. The USDA said Congress passed the Act to end the cruel and inhumane practice of soring horses and stop unfair competition. “Strenghtening the Horse Protection Act regulations and the enforcement of alleged violations is the best way to achieve this goal,” it said in a statement. The president and chief executive of the Humane Society of the United States, Wayne Pacelle, welcomed the new rules. Pacelle, writing in his blog A Humane Nation, said an enormous coalition of animal welfare groups, horse industry organizations, veterinary organizations, law enforcement, and others had backed federal action on soring. It had, he said, been one of the the society’s top federal priorities. “We will, however, have to be vigilant that President-elect Trump and a handful of opponents in Congress do not interfere with implementation of this rule; meanwhile, we’ll continue to press for federal legislation to build on the regulatory reforms, so the battle is not entirely over. “When you consider that the first major step in this process was taken more than 45 years ago, with Congress passing the Horse Protection Act of 1970 – attempting to outlaw the practice but leaving loopholes that the horse soring crowd walked through almost every day – you may have a sense of the countless hours devoted by reformers to deliver mercy to these horses, and to outlaw a practice that is as deplorable and intentional as dogfighting or cockfighting. Pacelle also praised the findings of the extensive audit conducted by Office of Inspector General (OIG). “The OIG concluded from its findings that in order to fix the continued abuse, an overhaul of the USDA’s regulations to eliminate the flawed system of industry self-policing and stiffer penalties are vital and necessary. “That OIG report provided an enormously important grounding for our national anti-soring campaign,” he said. “Congress still has work to do – protecting the rule from attacks, ensuring its acceptance by the Trump Administration and adequate funding for the USDA to enforce it, codifying the rule-making provisions, and increasing penalties for violators. We expect to see legislation introduced soon to address these issues and build on the rule-making.